PACCAR | Can Men Cook? Old Bull and Bush – training day! I’ve been working for about a year on a project with a friend called Jay Dodson. I set up the menu – cooking a three course meal in a normal modern kitchen. 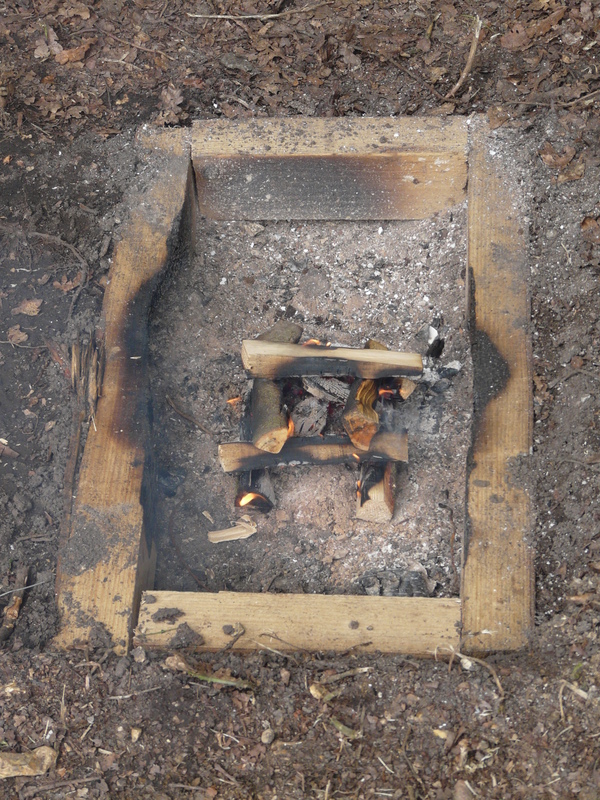 I then challenge my colleague, Jay to reproduce the same dishes – but outside, armed with his self dug fire-pits, some different ways of creating an oven, and slow cooking facilities, and axes and bush knives. We’ve called it “Old Bull & Bush”. We have done a pilot show, and are looking for partners and production companies. Watch this space! But both of us are trainers in our day jobs. We help teams and leaders perform at the highest level they can. So here’s the brilliant idea Jay had. Why not link the two? I had already done this a number of times with a conference presentation (“What can organisations learn from cooking in a restaurant”). I had interviewed some local restaurant owners and got some really powerful ideas that were instantly transferrable to other environments. Here’s an example: “If it all goes wrong, shut the kitchen for 10 minutes and let them catch up”. Normally people just throw more resource at a log jam – people or money. Stop, re-group and refresh was a different idea – and really hit home for people. Anyway – we took this one step further with our Old Bull & Bush idea. We went to a scout camp that Jay uses (he is also a leading light in the Baden Powell Scout association – the original and traditional type). We split the teams in two, gave them ingredients and equipment. They then had to come up with a 3 course menu, work out how to share it with the other team, and then get on with it! This was either in the indoor kitchen (which was a full catering kitchen) or outside with the three sites jay had set up. 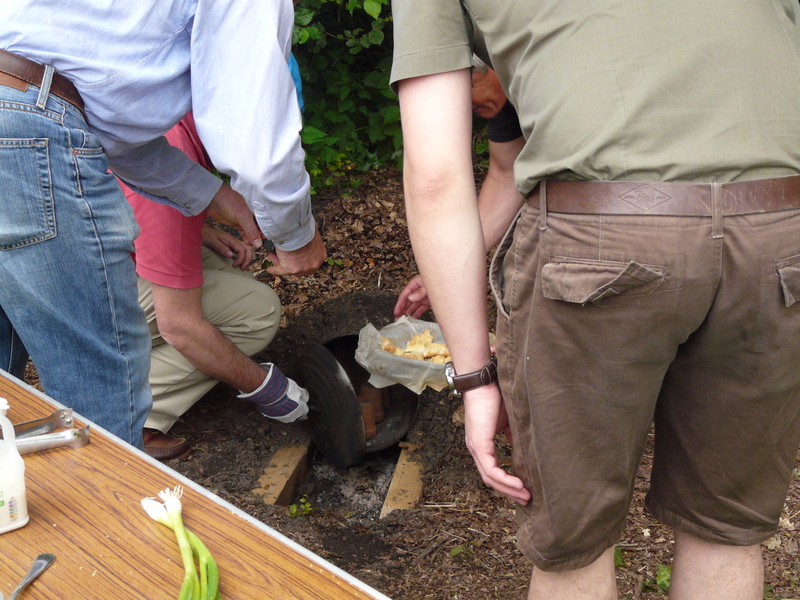 He had a straight firepit, with griddle ability, a wonderful charcoal fired tagine from Morrocco, and a small dustbin oven. Like 40% of the world’s population, our guinea pigs were cooking over wood. All participants have the opportunity to experience both types of cooking. Look – there were probably more dishes, but I couldn’t keep up with it all! 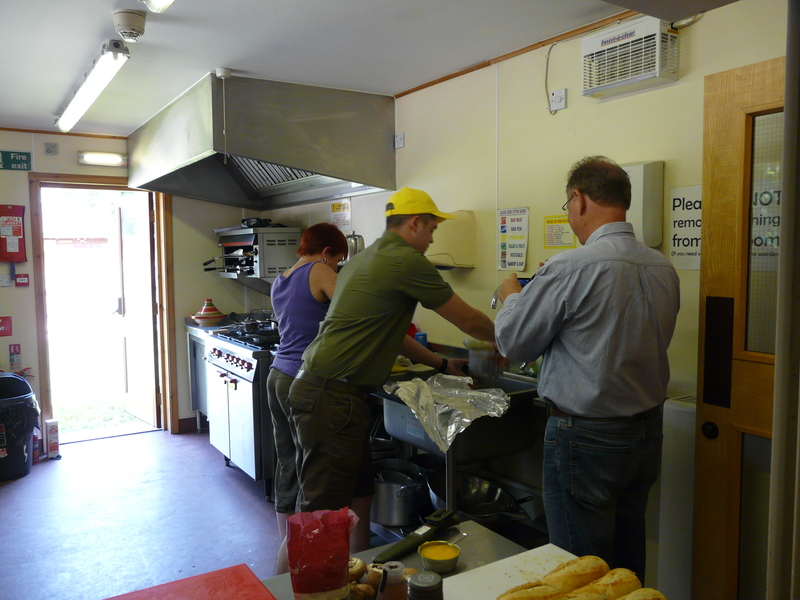 We even managed to get our film crew (Colin) fed – which he told us is very rare! (Even when working with Heston Blumenthal or Gordon Ramsey….). The sharing and caring between each team and each team member was quite moving. And to think Jay and I had designed the food buying around a venison burger starter, chicken tagine main and Eton Mess pud. This team went wild in their creativity – and what hugely tasty and exciting results. We loved it. And if you have a team who could get excited doing this, we think they would love it too. Not everyone was a keen cook, or even an occasional cook – but they all helped, cared for each other and shared their skills and abilities beautifully. And we (Jay and I) learnt a lot. Not only that this idea has got real legs, but that you can whip cream into a solid lump in 40 seconds by shaking it in a jam jar! Who knew? Thanks to Colin, Steve, Nicki, Karen, Jack, Stella and David. “Old Bull and Bush” has a separate web site – you can visit on www.oldbullandbush.co.uk . Enjoy!